Ivanhoé Cambridge Launches Travelling Instagram Dreamland at 7 Shopping Centres: Despite what it may look like outside, the spring/summer season is indoors and Ivanhoé Cambridge is providing the perfect setting for those celebratory Instagram posts. 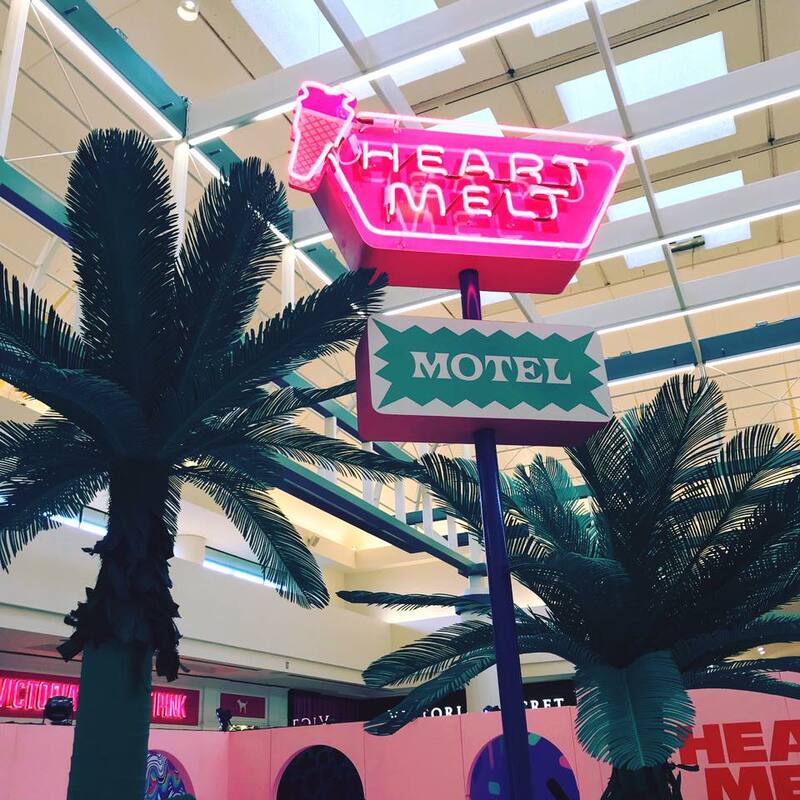 The Heartmelt Motel begins its seven-city tour at Edmonton’s Southgate Centre and will be open from now until April 22nd. The experiential exhibition was inspired by retro California motels from the 1970s, but features an unexpected ice cream twist. Guests can get lost in the cotton candy skies or cannonball into a gummy ball pool; you’re guaranteed to get the perfect photo worthy of many double taps. Heartmelt Motel is the first in a series of experiential activations planned for Ivanhoé Cambridge centres. Incorporating aspects of experiential marketing continues to play an important role in the evolving retail landscape. Hudson’s Bay on Queen Street West in Toronto transformed the seventh floor of its store into an Instagram destination. We also reported on the opening of Square One’s Food District, which brings an experiential element to the Oxford-owned property. 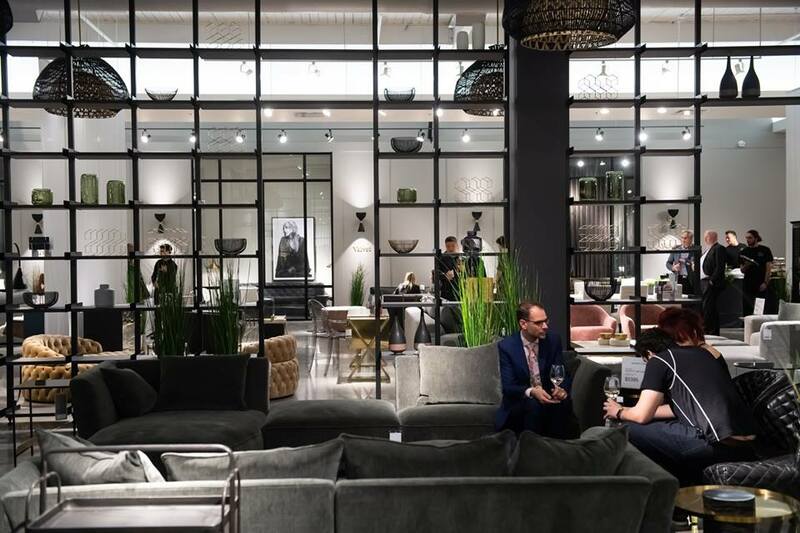 Home Société Opens 80,000 Square Foot Store in Toronto’s Castlefield Design District: Home Société, a new design collective, has opened its first-ever massive showroom at 1270 Caledonia Road in Toronto. The concept was developed by Quebec-based design leaders and manufacturers: Maison Corbeil, Jardin de Ville, and Must. Home Société is a multi-brand home furnishings retailer featuring more than 100 lines of home décor and furnishing options ranging from affordable to luxury price points. The pieces are carefully curated and are selected based on beauty, quality, and versatility; they also reflect the unique style of the Toronto market. Shoppers looking for a variety of styles will have no issue finding the perfect piece, whether it be contemporary, mid-century modern, industrial, art deco, or Scandinavian. The showroom is smartly designed to showcase how you can mix and match styles to develop your home’s individual look and feel. Home Société also carries exterior furnishings, ensuring that you will enjoy spending as much time outside as you do inside the home. 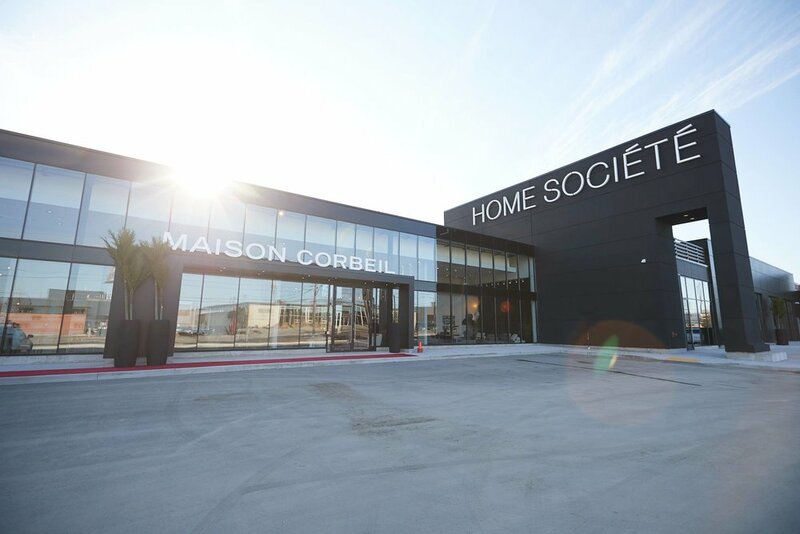 “We created Home Société as a celebration of individual style,” says Éric Corbeil, co-president of Maison Corbeil. “It is a purposeful mix of impeccable design, premium craftsmanship and unique home design products at every price point, to help customers create personal spaces that speak to their individual design style,” says Corbeil. Home Société will carry pieces made in Canada in addition to distinctive items from around the globe. Visitors will be able to enjoy a meal in Home Société’s in-store restaurant, Moretti Caffe, developed in partnership with the team behind Montréal’s Pizzeria Moretti. After a long day of designing your dream home, you can relax with a pastry and espresso or go to town on antipasti, pizza, and pasta. Update on Square One’s ‘The District Market’: We’re providing some updated information on ‘The District Market’, which was conceptualized as a farmer’s market within the recently opened ‘The Food District’ at Square One in Mississauga. 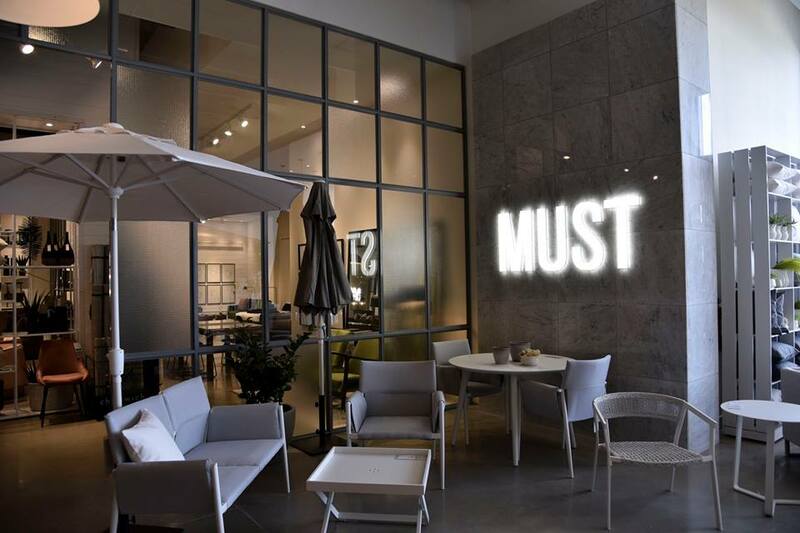 The unique ‘District Market’ component is described as being “a collection of local farmers and merchants personally curated by our Specialty Leasing team at Square One,” says Catherine Llagas, Specialty Leasing Manager at Square One. The mix of tenants includes Montreal style bagels, Latin inspired cheese, sheep’s milk dairy & meat products, locally grown fruits and vegetables, and even ostrich products. Vendors open every day of the week include OKO Bagels, Sabana Cheese and Secret Lands Farm. On weekends, vendors also include Drummond Farms, Ostrich Land, Victoria Panforte, Green Geek, and Andrews Scenic Acres. The look and feel of the space was a “grassroot approach” according to Ms. Llagas, including ample use of steel and wood to be consistent with the aesthetic of The Food District. Interestingly, the tables and chairs in the space are used for seating during weekdays and convert to a merchandising display for the produce vendors that set up on weekends. The Market District offers local vendors the opportunity to sell their products in a high-profile location. The Food District is said to be very busy after having opened in early April, and it’s next to impossible for some brands to otherwise get a foothold in a centre such as Square One, which is one of the most productive in Canada in terms of annual sales per square foot. 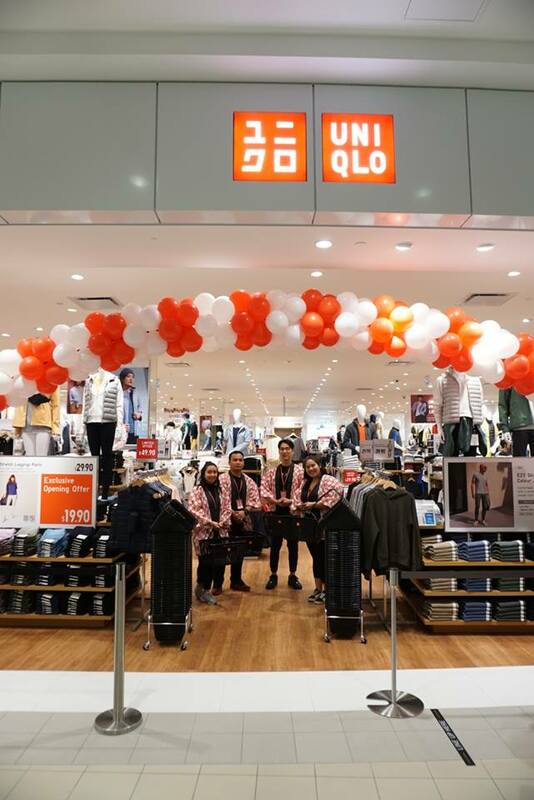 Uniqlo Opens Newmarket Store as it Prepares to Announce National Expansion: Popular Japanese fashion retailer Uniqlo opened a 15,000 square foot storefront at Upper Canada Mall in Newmarket, north of Toronto, last weekend. The Newmarket store is Uniqlo’s 11th unit in Canada, after entering the country in the fall of 2016 with two Toronto flagships. 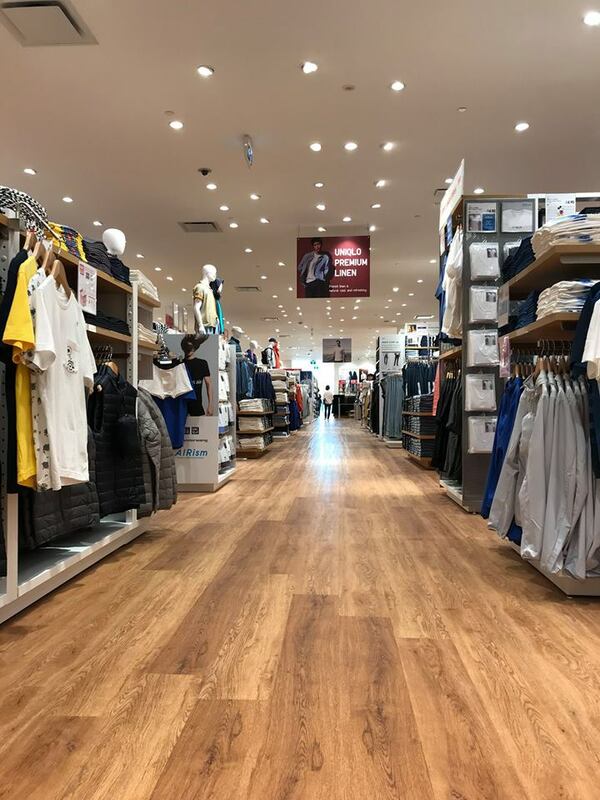 The company has since opened four stores in the Vancouver area and in the Greater Toronto Area, Uniqlo now has seven stores. The company could open about 100 stores in Canada, according to the company. Uniqlo’s colourful stores are known for their staple fashion lines — Uniqlo ‘ultra light down puffer jackets’ are wildly popular worldwide, as is the brand’s cashmere offerings and the ‘HEATTECH’ line which features a technological innovation involving inner wear that generates heat from one’s own body temperature (Uniqlo refers to its fashions as ‘LifeWear’). Uniqlo also regularly releases limited-edition t-shirts which often sellout quickly to crowds of fans. Upper Canada Mall has seen several innovations that are driving traffic to centres. 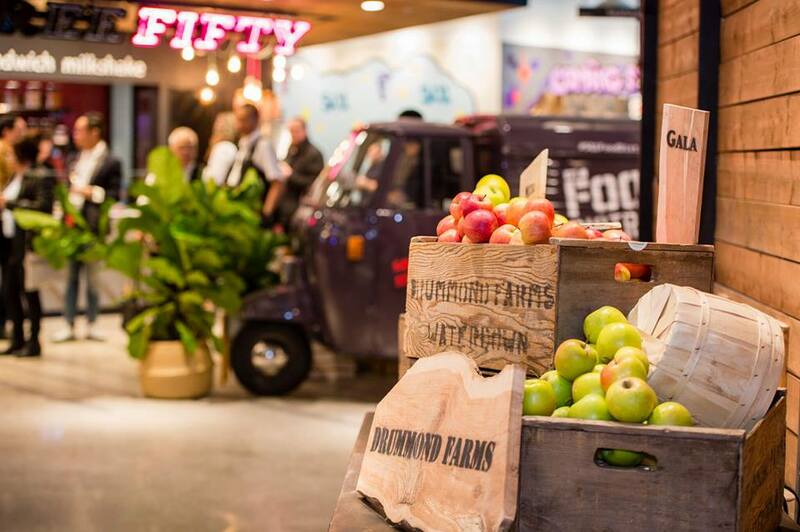 In the fall of 2018, the Market & Co. food hall opened to fanfare and is said to have increased foot traffic and revenue in the centre as a whole. A coworking concept called LAUFT also opened over the winter. Uniqlo is expected to announce its first stores outside the GTA/BC Lower Mainland as early as this spring. Rogers to Open Massive ‘Experiential’ Retail Space at Canada’s Busiest Pedestrian Intersection: Toronto-based Rogers is moving into a 12,000 square foot retail space at the northwest corner of Yonge Street and Dundas Street. Rogers will replace a Forever 21 store that has occupied the building for years. It’s the busiest pedestrian intersection in Canada, with the busy Yonge-Dundas Square being diagonally across the street. H&M’s largest and highest-grossing Canadian unit is across Dundas Street from the new Rogers, and Japanese retailer Muji recently unveiled its largest flagship outside of Asia at 20 Dundas Street West as part of the Atrium complex. The new location “will showcase emerging wireless and connected home technology for consumers and businesses, with onsite experts, interactive zones, and dedicated spaces for events and exhibits.” It will also feature other key Rogers brands and sports properties, according to Rogers. Construction at the multi-floor space, located at 302 Yonge Street, will break ground this summer and open in late 2019. The new retail experience centre will join and complement the more than 2,500 distribution points for Rogers nationally. Jordan Karp and Ryan Morein of brokerage Savills acted on behalf of Rogers in the lease deal. Superette Opens 1st Store in Ottawa With Plans to Expand to Toronto: April 1st, 2019 will go down in retail history as the day cannabis retail became official. 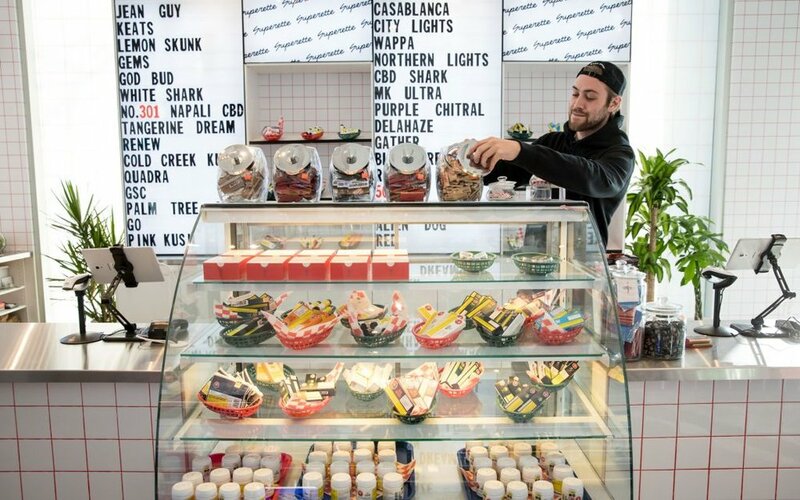 Superette, located in the Wellington West neighbourhood of our nation’s capital, Ottawa, opened up as one of only three legal cannabis stores in the city and among 25 legal stores in Ontario. The brand is the exclusive to retail operator, Pure Alpha Holdings Ltd, who is one of the few AGCO lottery winners. Superette was founded by former Hiku employees, CEO Mimi Lam, and President Drummond Munro; unlike competitors, Superette is privately owned and is not a subsidiary of any of the licensed producers. Their retail experience is designed to be welcoming for all customers, regardless of cannabis knowledge. Customers can pick up their favourite strains to go at the express counter, or they can pick the brains of “Budtenders” to help determine what products would work best for them. Shoppers can find everything they need for an “elevated” experience including: dried flower, pre-rolls, cannabis oils, capsules, and accessories. 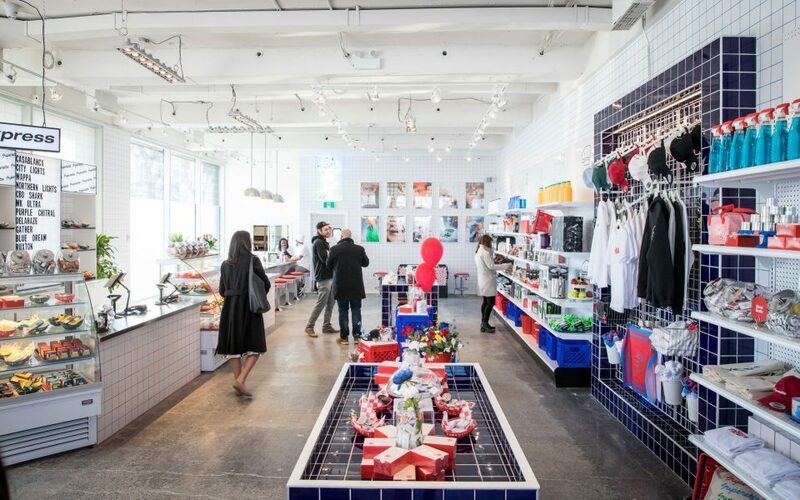 Torontonians will soon be able to peruse their own Superette store as the company will be opening their second location across from Trinity Bellwoods Park. The Toronto location will feature an express window to cater to the cannabis enthusiast upon final approval by the OCS. With The Hunny Pot up-and-running and Tokyo Smoke’s Yonge and Dundas flagship store in the works, the Toronto cannabis scene is about to get even more interesting with the impending addition of Superette.